WE thought the phenomenon of toys-to-life was dead. But Ubisoft believes otherwise. Despite Activision canning Skylanders and Warners killing Lego Dimensions in quick succession, Ubi has decided there’s life in the genre yet. 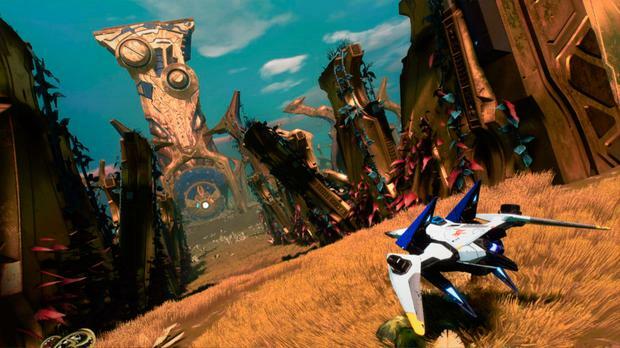 So Starlink revives the notion of a videogame tied to real-life plastic figures – paid for with actual cash, obviously – which are replicated on-screen. Battle for Atlas resembles a small-scale No Man’s Sky in its space-opera fantasy about saving seven planets from alien invaders. Your type of ship is determined by the version of the game you buy, as are your pilot and weapons – with the Switch version, for instance, featuring the Arwing from Nintendo’s Starfox. Cleverly, though, the ships and weapons are modular, meaning you can mix and match parts from different packs, to the extent that you could have four wings, or even put weapons on backwards. The concept of collectible figurines giving you in-game powers isn’t a terrible idea, if only the corporations weren’t so damn greedy with the pricing. Starlink falls at that first hurdle, with extra packs costing up to €30 each on top of the €70 you’ve just paid for the base game. Admittedly, you could muddle through the game without shelling out but some of the tougher boss battles don’t make it easy. Swapping in another ship gives you the equivalent of an extra life – at that initial cost of €30, of course. The game itself has much to commend it – from the dayglo palette of the planets to the variety of combat. You can battle on the planet’s surface, fly into space for a dogfight or perform a Star Wars-like raid into the belly of a giant Death Star-esque mother ship. But then – in typical Ubisoft fashion – it’s all located in open world overloaded with little icons of dull side missions to perform on repeat. Weirdly enough, you can also buy a better-value digital version of Battle for Atlas, which unlocks the extra ships and weapons at a cheaper rate. 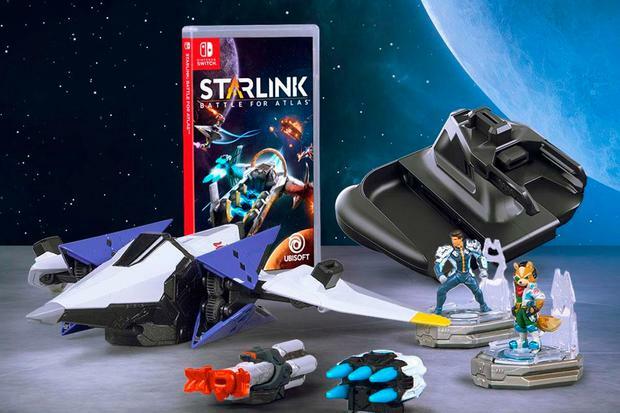 But then you’ll have no plastic figurines to toy with when you get bored of Starlink’s repetitive structure.